Facebook, Facebook, Facebook- Facebook is an online social network that includes status updates, picture sharing, news feeds, and so on. The user controls who can see and not see what is put on their wall. They can block people they don’t want to have access and allow those they want. You can select the recipients and decide who to share what information with. You may be wondering why I’m doing a post on this and you will soon understand. On my Facebook page I have 409 friends and many pictures of my kids and friends. I have a number of groups set up that include my church friends, online friends, haveners and so on. When I post certain things that are meant for my church friends, those posts only goes to those I have listed under that group. If I’m playing games, or I should say my husband is under my name, all game posts goes to that group of friends. I know many on my facebook page, but not all. And not all of those on my Facebook would be interested in what is going on here in my home town or what funny little thing my grand kids may have said or done for the day. Even though I don’t know why they wouldn’t want to know, lol. The reason I say this is because of privacy and what I would call rage posts or anger posts. I have a number of friends on my Facebook page that will post pictures or make a status comment. And in turn they may get a negative response from others about said post. When you post things for all of Facebook land to see and all of your friends, there is bound to be responses and not always are they what you are looking for. If someone posts a topic or shares a picture and you have opened it up for all to see, then logically one would think that someone will comment. I know I will comment on pictures or status’s. I may not on all of them, but some I do. When I post a status or a picture I understand that people will say what is on their mind, even if I don’t like it. It is the same with my blogs. The topic of this post isn’t about one particular person or a group. It is a general topic of if you don’t want people to comment the way you want them to, then don’t post it. If it is intended for certain people, then send to only those people or in a private message. Facebook is a social network and one shouldn’t expect much privacy when they choose to share what is on your mind or in your life with those on Facebook. I made a comment on a article on yahoo the other day about sharing of photos. The woman was upset because her picture was shared with others without her permission. In my opinion if she didn’t want the world to see it, then she should never have posted it. 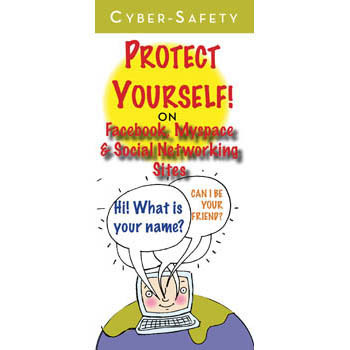 There are guidelines you have to follow when signing up for Facebook and other networking sites. I’m pretty sure most don’t read the small print. My comment to the article was that people are too laxed. There are more times than not that I can find information out about someone I don’t know by looking up their Facebook page. 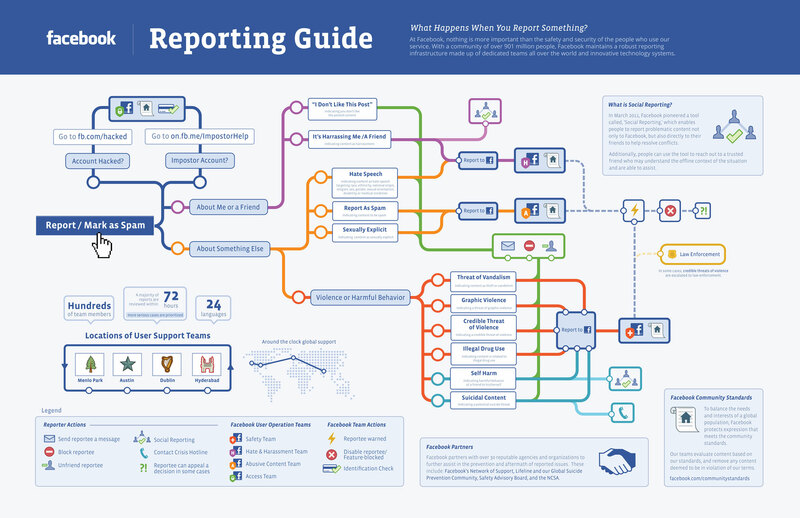 There is critical information that you should never share on Facebook. Some of the main no brainer things would be telephone numbers, addresses, where you work, birthdays, social security numbers and so on. But sharing information has lots of risks including your name which can be accessed by others and your profile can be viewed. Anyone can get valuable information and private photos from your profile — ultimately getting you in big trouble. I was able to show a friend just how easy it was to find out information about one of her friends. She was up for the challenge. I went to her page and located the friend. Her friend had on her profile where she worked at and little fun tidbits about her kids graduations. Her date of birth was on the page as was her place of birth. There was information about her anniversary and her husband on the page. Her friend wanted another friend to reach her, so she gave out her telephone number on a post, not thinking anything about it and later gave directions to her house. I didn’t know this person and she lived in another state. If I was an online stalker, I would have it made. Her friend allowed anyone to view her information. She had no idea who I was, but I knew who she was. What I’m saying is that be careful what you put out there because you may not like what the reply or the outcome may be. Always monitor pictures that other people put of you and tag you on. You can see the tagged pictures of you by going to your profile, click on “Photos”- you should see “Photos of You” and the number of tagged pictures. Do not post pictures of yourself under the influence of any type of substance. This refers to pictures such as: Dancing-on-the-bar pictures or candid shots of the last time you got hammered with your pals on happy hour. Don’t be caught with drugs, especially if you’re underage because anyone can just print out the picture and show it to your parents or principal. Be cautious of the statuses, photos, videos, etc. you post if your coworkers, colleagues, or even your boss is friends with you. If possible, avoid sending out or accepting friend requests from those who know you from work, especially your boss. Granting them full access to view your personal life will only have negative effects on your job. Never post information regarding an upcoming vacation or trip as your status. Doing so is just asking for your house to be robbed. If you must post photos and every detail of your two-week trip to France, do so after you return home, not before or during your vacation. Change your password every so often. Don’t make your password something obvious such as your birthday or mother’s maiden name. Try to have at least one capital letter, one lowercase letter, two numbers, and a symbol. The longer and more complicated the password, the safer you are from getting your account hacked. Always remember to log out after you’re finished with Facebook, especially on a shared computer. This is actually scary to me!!! I post all kinds of pictures and videos on my facebook but its for friends only. Can they still see since I have it for friends only??? I have mine that way too… I think people can be pretty naive when it comes to what we put out there… I was able to find the person I was searching for in under 15 minutes and had all the information I needed at my fingertips. Thank goodness I’m not a stalker or predator. It’s scary when you think about it.